Have questions about your heating and cooling systems? The Premier team has the answers you need! Check out this page for information on frequently asked questions about common HVAC system concerns. Don’t see the information you need? Call our HVAC company in Denver, Colorado and we’ll get you the answers and service that you need! Q: How often should I change the filter in my HVAC to avoid needing to call for a furnace repair? A: It depends on the type of filter you have. Most filters should be changed every 30 days and the life of the filter is usually stated on the package. Q: What type of filter is the best and most economical? A: We usually recommend that you use either a basic blue or green fiberglass filter vs. any pleated 3M filter. Pleated filters work well, but generally clog up easily and cause air restrictions on the system. Ultimately, replacing either filter type will help you avoid air conditioning repairs. If you have problems with allergies, we recommend upgrading to an electronic air cleaner. Q: How long does a furnace and A/C generally last? A: Needing emergency heating repair can be costly and inconvenient, so it is best to know how long to expect them to work. Furnaces last about 15 years on average and air conditioning units last about 10 years on average. We have seen systems last 20-30 years in some cases. The main factors that determine the life of a system is how well you maintain your furnace and air conditioner. The location is a factor as well, whether the furnace is located in a basement vs. a crawl space or attic can affect the life. These averages can vary based on what region you are in and type of climate. Q: How often should I have my furnace and air conditioning serviced? A: Most manufacturers recommend annual maintenance on both systems. This is generally stated in the owner’s manual and the manufacturer can void the warranty if there is neglect. Premier Heating and Air offers three affordable options for maintenance that range from $12-$24 a month. See Maintenance Agreements for details!!! Q: How much does a new furnace or A/C cost? A: We hear this air conditioning and furnace replacement question a lot, and it’s also one that is very difficult to answer without visiting your home first. 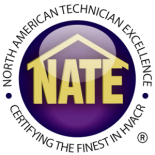 We carry systems that range from entry-level efficiencies and go all the way up to the most efficient systems on the market. There are also many factors that are unique to every individual home such as electrical, exhaust venting, drains, gas, etc… This is why we do FREE, no obligation estimates to give you an exact and accurate estimate. We also back that up with a “Pound for Pound guarantee”, so you know that you are getting the best value around. Call Now!!! 303-993-9060 or visit us online www.premieraircolorado.com and fill out an estimate request form.